In this article, we will be looking at the new Google Pixel 3 XL, its design and display, its battery and camera, hardware and software e.t.c. 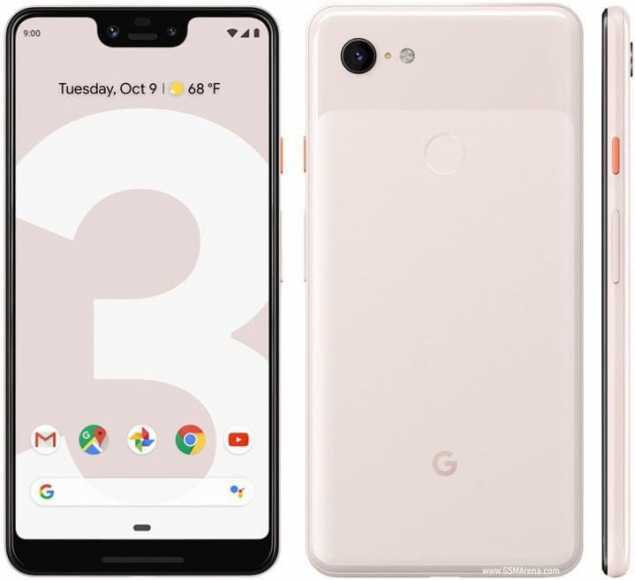 Well compared to Google pixel 3, you will notice that the Google Pixel 3 XL is the bigger version and there are quite a number of differences between the two devices. The Google Pixel 3 XL has a better display compared to the other device; the new device also has a bigger screen and a better battery. Aside from those new improvements, there are no other major differences between the device. Its forerunner was known for its awesome camera; Google Pixel 3 is the best photography device made by Google. So let’s check some other excellent features of this Smartphone. The device is not completely modern in its blueprint with its big notch and bit broad bezels, although not as broad as the Pixel 2 XL. There is the exclusion of audio jack on the device which means you’ll make use of the USB Type-C port. It comes in Black, White, and Pink. The Google Pixel 3 XL display is quite punchy and crisp. The Display has a resolution of 1440 x 2960 pixels making the information on the device appear colorful and vibrant. By comparison, the Pixel 2 XL has a better battery, but the Smartphone might prove to be the variation. The device has 3, 430mAh battery which is enough for any user. It has a fast charging ability. The Google Pixel 3 XL switched things and bags a double front camera and has one back camera. It also has two 8MP cameras. The back camera comes with a single 12.2MP camera that delivers adaptable bokeh effect. Google Pixel 3 XL has a rear Camera of 12.2MP and Front Camera of 8MP + another 8MP camera with awesome features like Autofocus, LED flash, face detection, Geo-tagging, touch focus, panorama. The device has 64GB and 128GB memory space. There is no Memory Card Support in the pixel 3 XL. There are 2G, 3G WCDMA, 3G CDMA EVDO, and 4G LTE support. There’s virtually no major differentiation between the Pixel 3 XL and the Google Pixel 3 as regards the software and hardware. You’ll find a Qualcomm Snapdragon 845 chipset and the arbitrary Adreno 630 GPU which is a top performer in the Smartphone Arena. Since there is no memory card slot you will need to be certain about the space storage you purchase, it also has 4GB RAM that can be used for multitasking and cool operations while for storing files, you will get 64GB and 128GB available for use. The phone is available for pre-order but will not be given out until the 18th of October 2018. It’ll go out for about ($899) which is 327,000 Naira for the 64GB phone, and the 128GB variant goes for about ($999) 369,000 Naira.